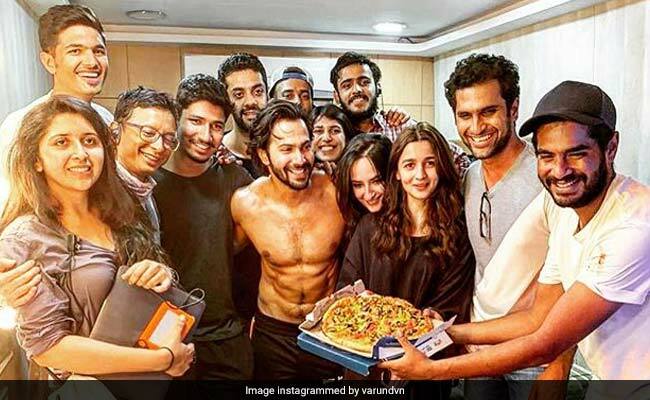 Varun Dhawan announced the schedule wrap of Abhishek Verman's Kalank on Friday aur isi baat pe ek pizza party toh banti hai. The 31-year-old actor shared pictures from the schedule wrap on Instagram featuring himself with the cast and crew of the film including Alia Bhatt and director Abhishek Verman. Varun Dhawan and team had a blast on the sets and the pictures shared by the actor are proof. The actor accompanied the photos with a note dedicated to the cast and crew wherein he wrote: "End of a crazy schedule, team Kalank. This has to be the most hard working team I have ever worked with. Day night these boys and girls have given their life so I can shine bright on screen," read an excerpt from Varun Dhawan's post on Instagram. 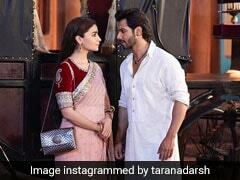 Varun also appreciated alia Bhatt's dedication, who in spite of being injured kept shooting for the film. "Abhishek Verman just smiling cause he thinks I'm crazy and Ali Bhatt with zero sleep and an injury giving her 100 percent, Team Kalank. We coming to you in 2019 get ready. April 19 th. Also I got my pizza." The 31-year-old actor continually shares photos and videos of himself sweating it out at the gym on his Instagram timeline. In a recent photo shared by the actor, he can be seen showcasing his well-chiseled body and his "battle scars", which he apparently got while shooting for a particular sequence of the film. Just a few days earlier, Varun had shared a video of himself wherein he referred to a "crazy" sequence in Kalank, for which he is has been training himself really hard. "I have been training and trying to get stronger for a crazy action sequence for Kalank.My trainer made me try something new today. P.S the mark on back is from cupping." Varun Dhawan and Ali Bhatt were in Kargil shooting for a sequence of the film. Varun shared a post on his Instagram timeline where he talked about his experience of shooting in sub-zero temperatures. He accompanied the post with a shirtless photo of himself and wrote:"Kalank - was in for a huge surprise when it began to snow in Kargil. I have been training for a while but I was not sure how I would shoot bare body with the temperatures reaching -3 degrees. Prashant Sawant was by my side. God is great I managed to complete the scene rest is cinema history. Also Kargil is so beautiful." Kalank also stars Madhuri Dixit, Sanjay Dutt, Sonakshi Sinha and Aditya Roy Kapur.